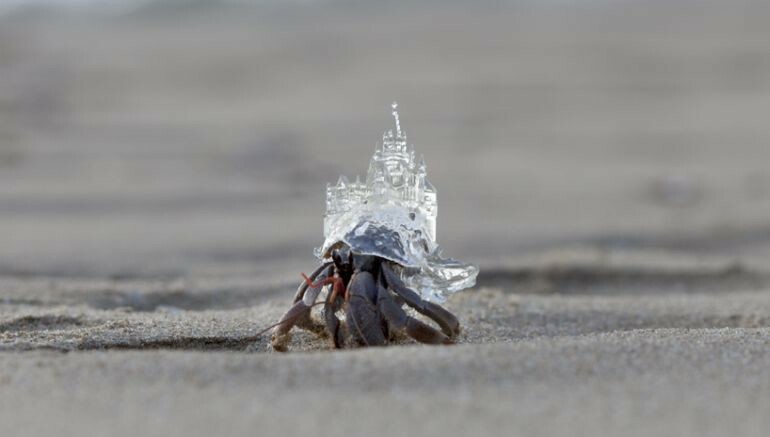 TOPICS:3D printingacrylicAki Inomatahermit crabsJapanJapanese weddingsRomanesque Architecturewedding chapelWhite ChapelWhy Not Hand Over a "Shelter" to Hermit Crabs? Art is no longer restricted to the confines of the canvas. 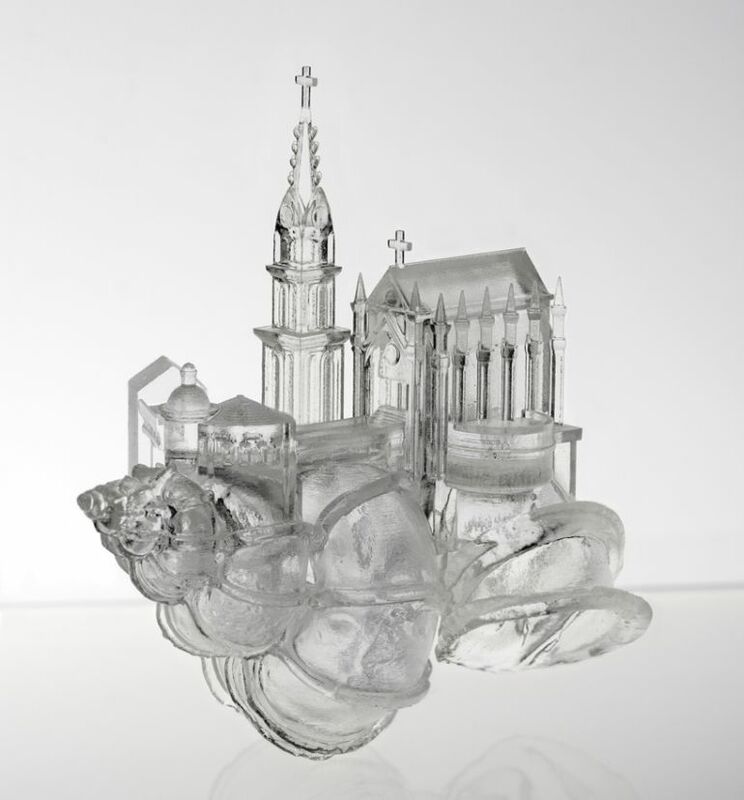 Instead of merely pleasing the ocular senses, a good piece of art creates an intricate web of ideas, meaning and inspirations, which in turn prompt the viewer to think and engage. 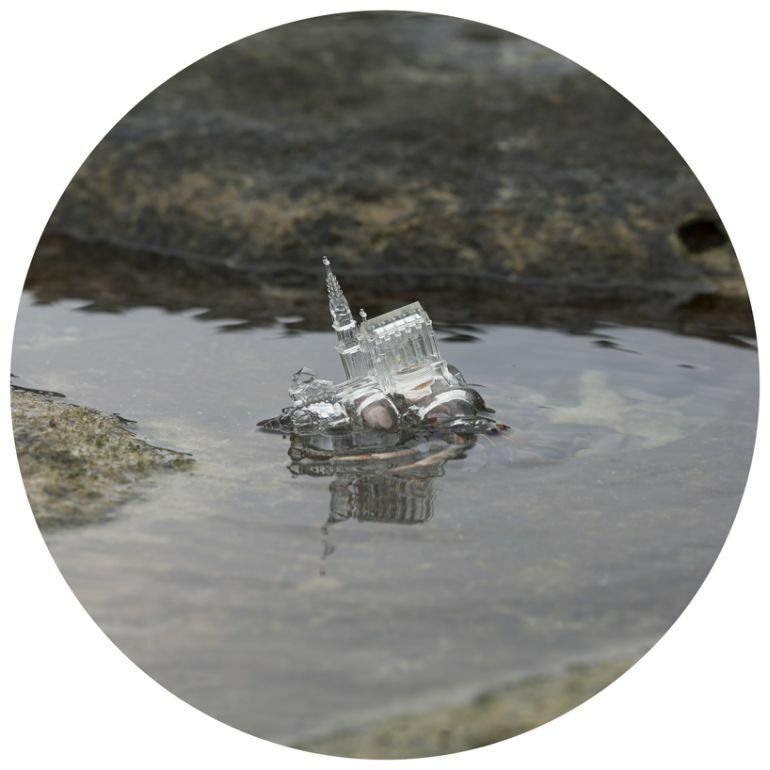 For instance, Japanese artist Aki Inomata’s works showcase the various western influences, present in her native culture, while at the same time providing protection to the fast-dwindling crustacean population. 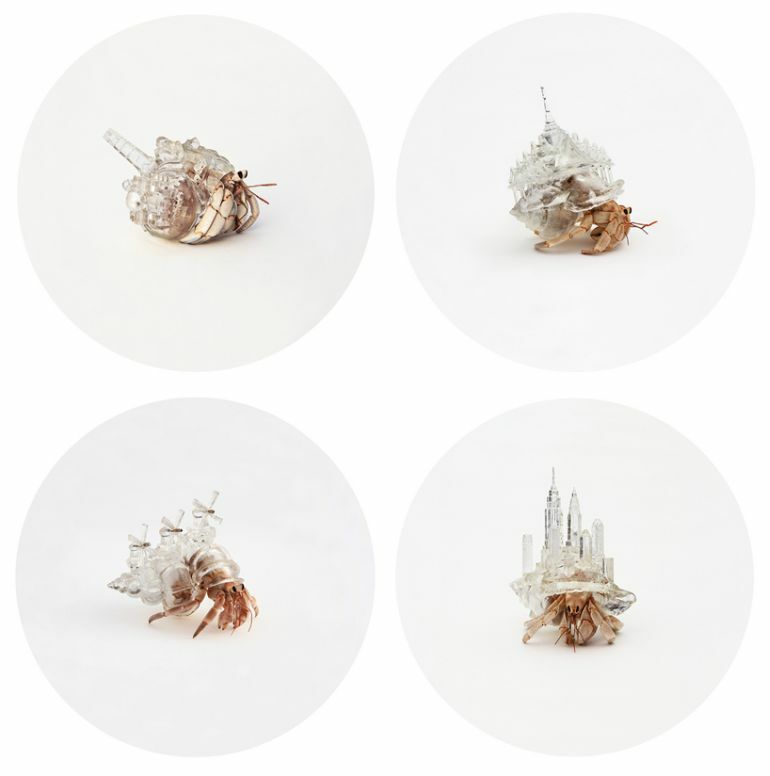 In her latest collection, known as White Chapel, Inomata has designed a series of architecturally-relevant, 3D-printed hermit crab shelters. 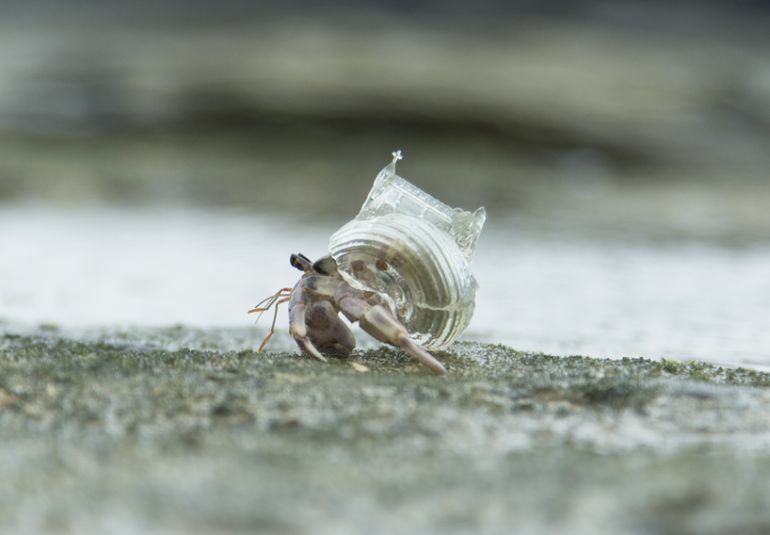 Crafted in the shape of a Japanese wedding chapel, the shell serves as a secure home for hermit crabs. 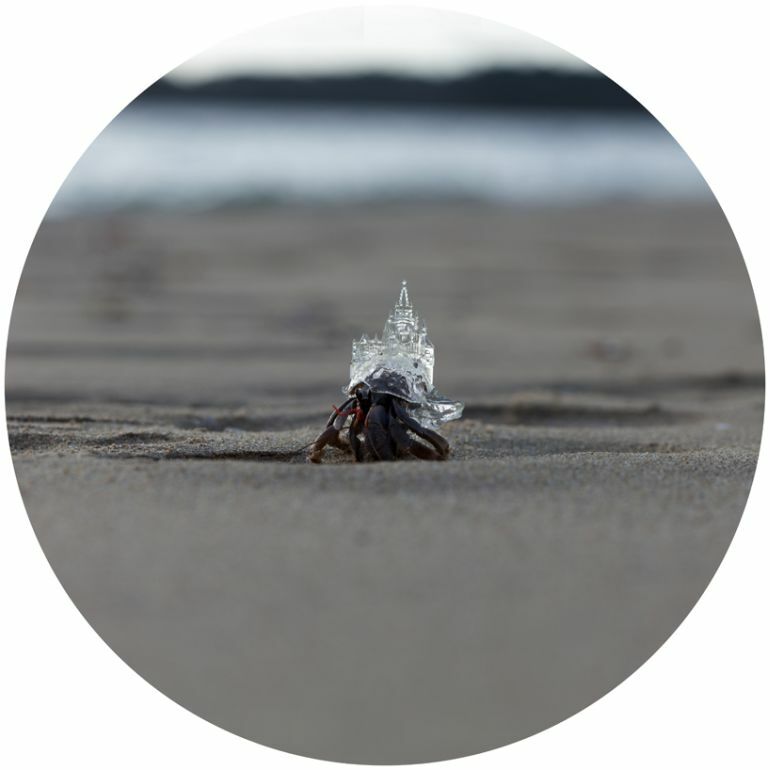 Third in the series of Why Not Hand Over a “Shelter” to Hermit Crabs?, the collection highlights the interesting fact that, although only 1-percent of the country’s population is Christian, more than 60-percent of Japanese weddings actually take place in Christian-style buildings. When I visit western countries, I sometimes notice the origin of archtecture, habits, foods, etc. In Japan, they would be transformed into local styles, and I ask myself, ‘are we Japanese living in a mimicry of western world?’. For me, these imitations, or I would say reproductions or rearrangements of Western-style architecture, seem to reflect identities of post-colonialism inside of Japanese people. 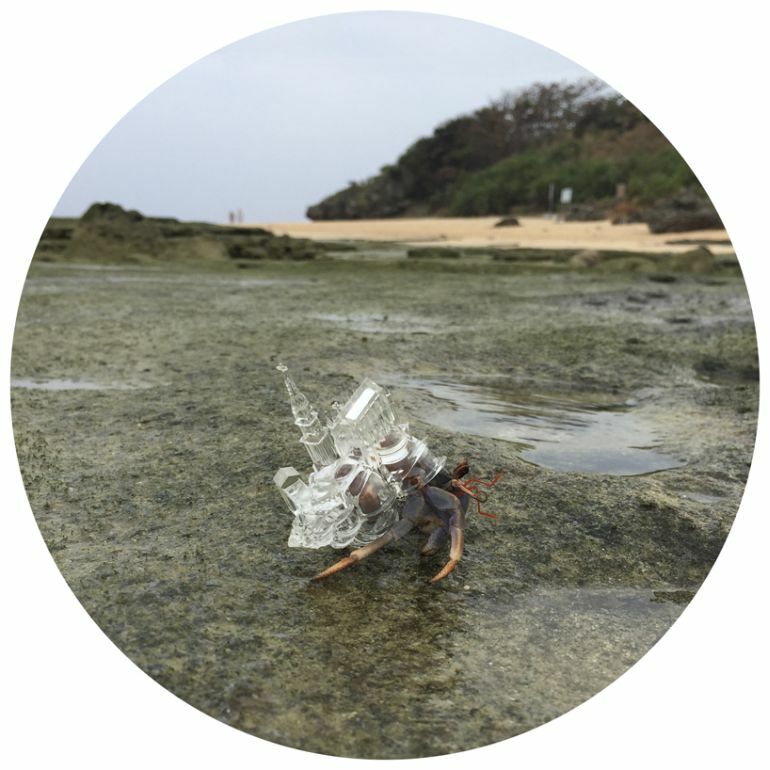 As the following video clearly shows, the organic design makes the structure somewhat-similar to the crabs’ natural habitat, thus allowing them to instinctively move into and adapt the shells as their home.